NEW YORK – Yes, Mark Zuckerberg will wear a suit. Though best known for his "uniform" of jeans, sneakers and a fitted gray T-shirt – adding a hoodie if the weather demands – the Facebook CEO will don a suit and tie when he testifies before Congress this week. He already did Monday, when he met with lawmakers ahead of Tuesday's and Wednesday's grillings. 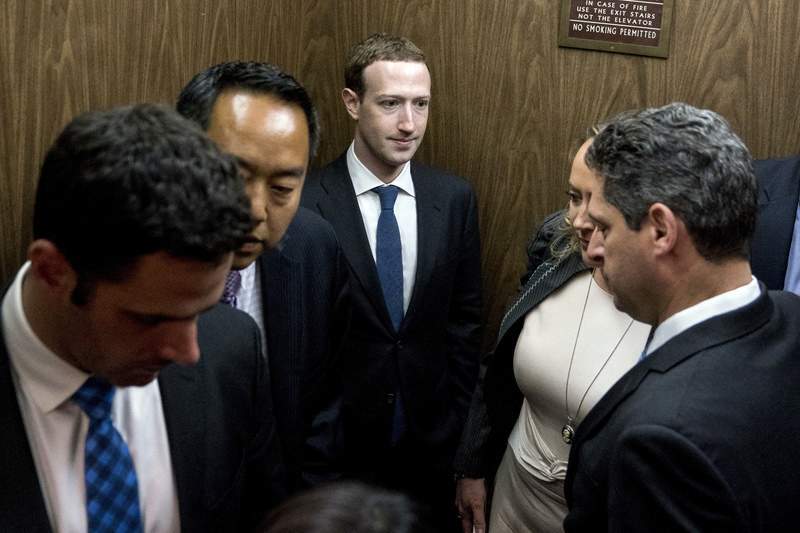 While wearing a suit won't fix Facebook, it will serve as an outward sign that Zuckerberg is treating his testimony seriously. The CEO had rankled Wall Street back in 2012 when he paraded around in a hoodie when meeting with investors about the company's initial public stock offering. Since then, though, he's often donned a suit when meeting with world leaders such as China's president, Xi Jinping or former President Barack Obama. He also wore a suit and black tie during his backyard wedding to Dr. Priscilla Chan in 2012, and last year when he gave a commencement speech at Harvard. On more ordinary days, though, Zuckerberg turns to his usual attire. But he's not unique among Silicon Valley titans in wearing the same thing every day. Late Apple CEO Steve Jobs wore jeans and a black turtleneck. Both had their shirts specially designed and made for them, though it is possible to purchase copycats online. Asked in a 2014 "town hall" with Facebook users why he wears what he wears, Zuckerberg said it's so he has to make "as few decisions as possible about anything except how to best serve this community."